Authors often cite articles and other resources within their posts. Sometimes these articles require a separate subscription to access them. This page is intended to help readers find ways to access those items. Many institutions of higher education provide access to journals and other publications through their library. Teachers enrolled in college courses may have library access to a wide variety of chemistry related resources in print and/or online. Many of these institutions will provide local chemistry teachers access to their resources. If you have such an institution nearby, contact the library to see if you can receive access to their journals. Many of the cited articles at ChemEd X are published by the Journal of Chemical Education (JCE). 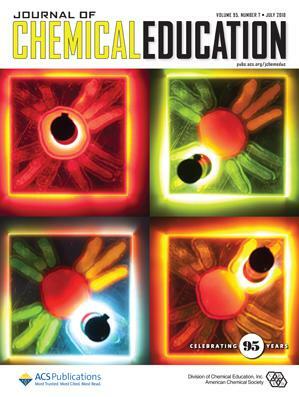 JCE is so often cited because it is considered the world's premier chemical education journal. JCE editorials and commentaries are generally open acess without a subscription. Other articles designated as AuthorChoice or Editors' Choice are also open access (these articles are denoted with a special symbol on the JCE website). Of course, if you have a JCE subscription, you can access any JCE article published since 1924 (see the annual subscription rates for individuals in Figure 1). High school teachers can purchase a "Web Only" subscription for $65. Alternatively, members of the American Chemical Society (ACS) or the American Association of Chemistry Teachers (AACT) receive up to 50 downloads from JCE and other ACS journals, including Chemical & Engineering News (C&EN). The American Association of Chemistry Teachers is a community of K-12 teachers of chemistry. K-12 teachers can become a member for $50 annually. AACT publishes an online periodical, Chemistry Solutions. Besides the complimentary downloads of ACS journals and C&EN, AACT members also receive a complimentary subscription to ChemMatters. ChemMatters is a magazine for high school students. It is designed to help make connections between the world around them and chemistry. There are four issues per year. The materials come with teacher notes and suggestions for how to use the contents with your students. Some of the material contained in ChemMatters issues is available for free on their website. A membership to AACT provides teachers with a complimentary subscription to ChemMatters as well. Teachers without an AACT membership can pay $16 for an individual subscription. Teachers can also purchase sets of 5 issues for classroom use. ACS has published C&EN since 1923. It is a premier news source about all things related to chemistry. It covers research, business, policy, careers, safety, trends and more. A hard copy of the magazine is published weekly, but content is also updated daily online. ACS members enjoy a complimentary subscription. Chem 13 News is a magazine published 9 times per year by the Department of Chemistry at the University of Waterloo in Canada. Content is written and read by teachers of introductory chemistry courses, especially at the high school and first year college levels. Celebrating their 50th year of publication, the magazine is now being published online. Annual subscriptions start at $27. Editor's Note - If the cited resource you are looking for is not on this page, please let us know using our contact form.